Michael is a Partner based in Frankfurt. 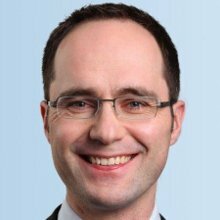 He is Leader of Arthur D. Little's Global Energy & Utilities Practice and heads the Central European Energy & Utilities team. Michael is associated with Arthur D. Little’s Operations Management Practice. Michael focuses on strategy and project development of large-scale capital investment programs in the power sector, including conventional and renewable energies as well as power grids. He gained experience in the development of functional strategies and organization transformation within the energy sector. His most recent consulting work focuses on the future of nuclear generation, offshore wind and corporate transformation in the digital era. Michael holds a Master of Science degree in Business Administration with Honors from the University of Muenster (Germany), specializing in Operations Management, and an Associate Degree in Banking. Michael is married. In his leisure time, he is passionate about alpinism and triathlon.